It is widely believed that the harsher the nights' frost, the brighter the color will be. When swaying overhead, the colors displayed are often greenish yellow, however, you may spot red, pink or even white lights. The super Jeep tour of the Northern Light depends on the weather conditions and the clarity of the sky, consequently, the tour operator has an unreserved right to cancel the tour at any time. If this tour continues and you do not see the northern light, the tour operator will offer you another tour, at no extra cost. 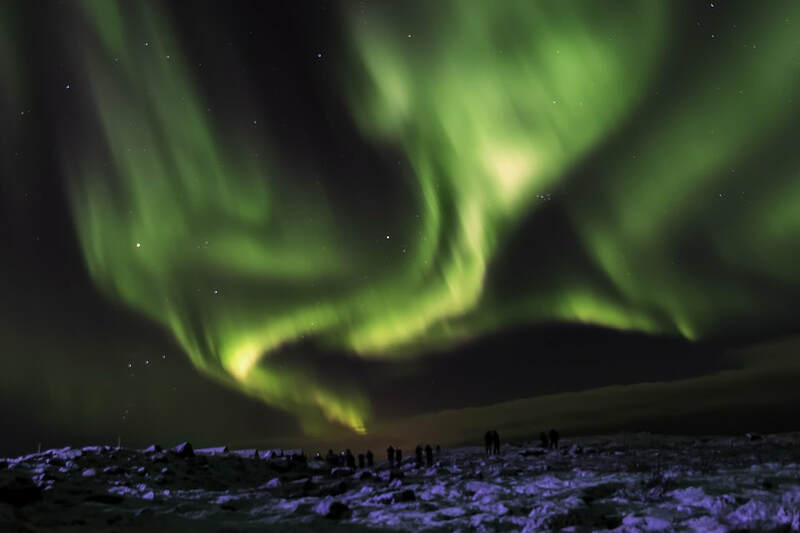 Ensure to pre-book your northern light tour in Iceland so you can enjoy the sight of the northern light on your first night in the city. It is important to note that the size of the group may grow if there are several night cancellations in a row due to poor weather. This is so because we continue to strive to ensure everyone enjoys the sight of the northern light, so we do our best so everyone can see it. The duration of this tour is between 3 to 4 hours. There will be a free pick-up from your hotel in the capital, and this will begin from 20:00. Due to longer daylight around 15/09 to 31/09 and from 15/03 to 15/04, there will be an hour delay in pick-ups, so pick up on those dates starts at 21:00. In Iceland, it is possible to experience all four seasons in just a day, so it is important for visitors to dress appropriately, including their walking shoes, waterproof and also dress in layers so they can fully enjoy their trip to the maximum. We also drop you off for free if your hotel is in the capital area.